I’m used to reading ill-informed attacks on school funding. They come from newspapers. They come from think tanks. They come from academic-type folks. Today’s editorial in the Oklahoman from Ph.D. economist Byron Schlomach with the 1889 Institute hits the myth trifecta. The 300 smallest school districts in Oklahoma account for less than 13% of all public education expenditures. The 12 largest school districts in the state account for 40% of all public education expenditures. 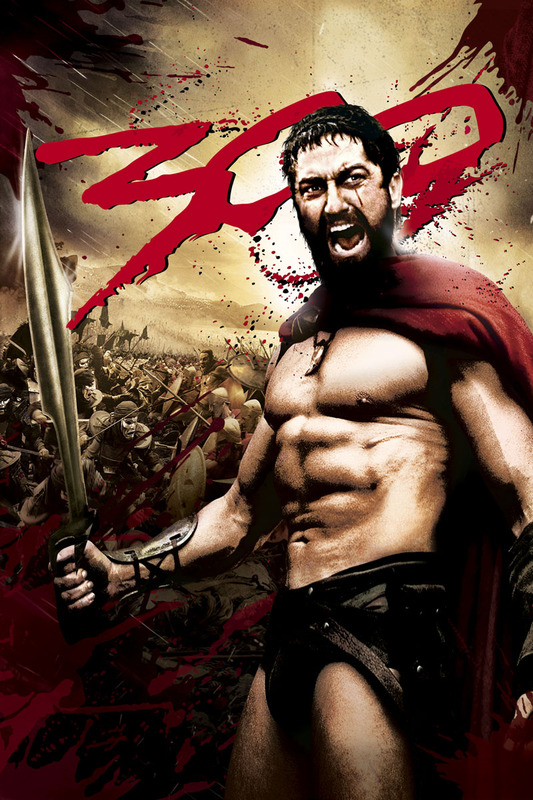 The 12 spend about $500 more per pupil than the 300. Oklahoma districts overall spend more than $10,000 per pupil. The state makes it hard to find information about school spending. I’ll start with the last claim. 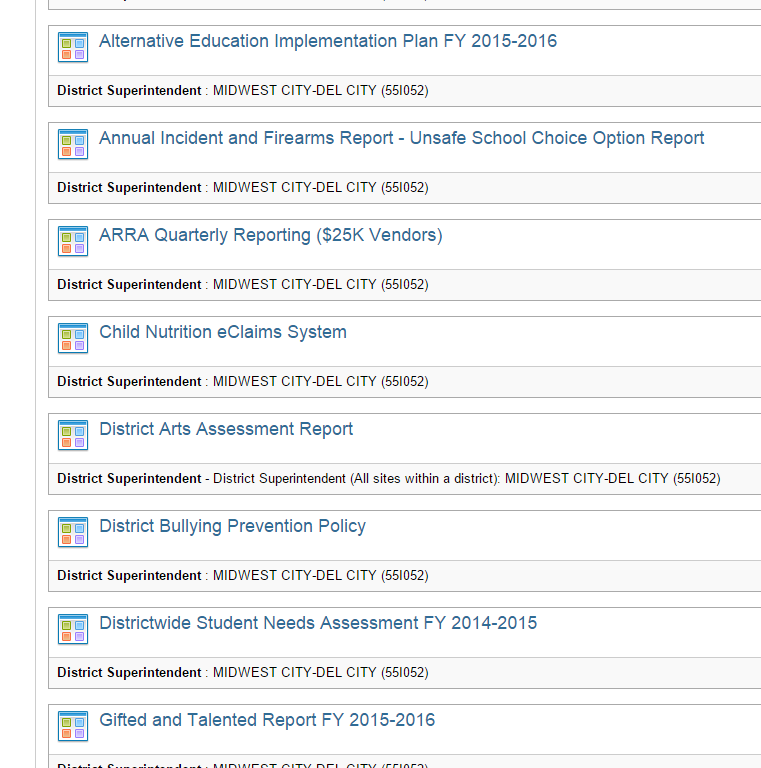 It’s not that hard to get data on school districts and spending or really anything else. Just contact the Office of Educational Quality and Accountability and ask for their most recent database. This one happens to be for the 2013-14 school year. They’ll send you data going back to 1997 if you ask. I’m against using geographic or other differences to pit school districts against each other. On the other hand, I’m superintendent of one of those 12 mega-districts that Schlomach thinks should be torn asunder. Using the 2013-14 database, I ran a few numbers on the whole state, the 12 largest districts, and the 300 smallest ones. The 12 largest districts in the state actually educate 37% of the state’s students. The 300 smallest districts educate about 12% of the state’s students. The numbers of economically disadvantaged and special education students follow within a couple of percentage points. The ELL population heavily leans towards the biggest districts; these 12 have 67% of all the state’s ELL students. Hold that thought. The 12 largest districts spend a lot of money. According to these figures, during the 2013-14 school year, they accounted for 37% of all school spending in Oklahoma. Meanwhile, the 300 smallest districts accounted for about 15% of all spending. This sounds about right. It’s pretty close to the enrollment percentages too. The Oklahoma City and Tulsa districts have a number of factors that complicate their districts, but overall, this group has the ability to provide broader, unduplicated services in their larger settings. Small districts can’t be as efficient. It’s a fact. It’s just not a clarion call for consolidation. Remember, I’ve worked in rural schools too. I see their value. The other issue with his research is the $10,000 amount. He’s including bond debt – twice. That’s what happens when you count debt repayment and the sinking fund separately. They’re the same thing. He’s also counting activity funds. Yes, that volleyball cookie dough fundraiser is counted as revenue and expenditures in his methodology. Technically, it is money in and money out, but it is not tied to the direct instruction or operation of the school district. The problem with bond debt is that it’s very localized and quite varied. More than 130 districts have no debt repayment listed. That means either their patrons haven’t passed a bond recently or that they just don’t have the assessed property valuation to make a bond issue worth it. …one thing is certain. State aid is still lower than it was in 2009 – to the tune of about $149 per pupil. The districts that have the bond indebtedness have moved more instructional and operational costs into here than ever before. This stymies capital improvement, such as modernizing heat and air systems for aging schools. This is nothing but a distraction from the fact that schools still teach more students under more mandates and with fewer teachers and less funding than they did 6 years ago. Ok, none of it was really exciting. It’s a dissertation. The 1889 Institute is an independent non-profit 501c3 education and research organization that analyzes and develops state public policies for Oklahoma based on principles of limited and responsible government, free enterprise, and a robust civil society. We disseminate analysis and recommendations to both public policy makers and the general public. Our focus is on education, healthcare, welfare, economic liberty, and state finance. The 1889 Institute does not engage in policy advocacy but does provide policy expertise to public policy makers and advocacy groups. The Institute does not have members or engage in grassroots organizational activities. Diseconomies happen when enterprises get so large that it is impossible to manage them well. The state’s 12 biggest districts seem to have entered diseconomies territory. Instead of a big effort to consolidate our smaller school districts, let’s work to split up some of our largest. Sure, there’s no real plan there. Sure, the facts are quite specious. Still, he’s taking a position. *On the other hand, since the 1889 Institute shares the same physical address as a prominent right-wing Oklahoma non-profit think tank, maybe I wouldn’t be speculating all that much. I received the following this week from UCO professor and #oklaed advocate, Dr. Dan Vincent. I present it to you, unedited. I’m a public school parent and I’m pissed off. I keep hearing that our state has a teacher shortage but I don’t see it this way anymore. I see an unusually high causality rate from the WAR ON TEACHERS. As a parent with two kids in public school I try to keep informed on issues related to education. I read the news, follow legislation and even research topics to be more informed. For the past few years, at the start of the schoolyear, I have read stories about the growing number of vacancies in Oklahoma classrooms—vacancies that districts cannot fill. Class sizes get larger and courses get cancelled. This number has gradually been creeping up and it has hit larger urban districts particularly hard. Now, even large suburban districts, where there has historically been an abundance of qualified applicants, are being hit by this shortage. Over the past several years I have also observed waves of educational reforms crashing into the doors of classrooms and onto the desks of students—reforms initiated and passed into law by our state legislature. If you are a student or teacher, you’ve felt it; my kids have felt it. The changes included things like the A-F, the RSA, the ACE and the TLE to name a few. These have been widely recognized by educational leaders in our state as doing more harm than good, especially when it comes to teacher morale and student engagement. Professional associations, parent groups, blogs and personal anecdotes have documented how these reforms are negatively impacting Oklahoma districts, classrooms and kids. There has also been much written about how these reforms are DRIVING GOOD TEACHERS OUT OF THE CLASSROOM. Legislators have been told this over and over. Personally, I have had civil discussions about the issues I see; I have written umpteen letters to lawmakers pleading for change. I have friends who written many more. So what I fail to understand with the ‘teacher shortage’ in our state is why – WHY – legislative leaders have stood by and allowed this to happen. The teacher shortage is not an unforeseen consequence of a poorly timed tax cut, but the steady attrition of teachers who have HAD ENOUGH of nonsensical educational reform policy and poor pay. The teacher shortage is not an unavoidable crisis caused by federal laws, but a compounding of state-level educational policies that fly in the face of what is known about learning. And as a parent, I hold legislative leaders responsible; they have created a WAR ON TEACHERS and our teacher shortage is a sad result of this war. It is a moral failing by our state leaders in not taking seriously their job of properly supporting a free public education. We know that money matters and we know that teaching climate matters. Legislative leaders have tremendous power over both and have done little to nothing to create REAL SOLUTIONS for teachers. In fact, I am not big on conspiracy theories but I am now seriously thinking our legislative leaders are purposefully making a teacher’s life miserable so they can justify their own policies meant to ‘help’ the problems in education—problems they have created with the war on teachers. And this is all being done TO OUR KIDS. Imagine if we had a shortage of qualified STEM candidates to fill the jobs in our state. 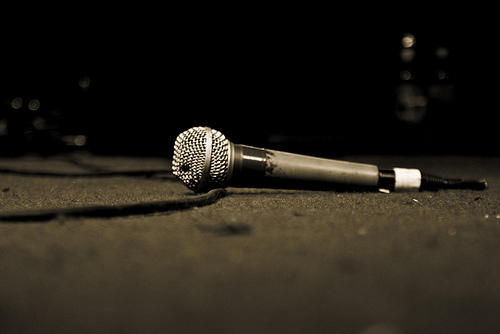 Do you think our current legislative leaders would do anything to attract quality candidates? Do you think they would initiate policy to help the STEM industry will those positions? Do you think they would be advocating for the STEM industry? Would our leaders actively seek out leaders in the STEM industry for ideas on how to attract applicants? Would they try to fill the STEM pipeline with qualified applicants? You bet. In fact, Gov. Fallin says there is a STEM shortage in our state, and our leaders have already done the things above (in fact, our governor’s 3rd annual STEM Summit is a few weeks away). But not for our teachers. Not for our kids. WAR ON TEACHERS continues. A few weeks ago, I felt a glimmer of hope when I read House Speaker Jeff Hickman and House Republican education leaders calling for a “more cooperative approach” to address the teacher shortage. Not three weeks later however, Speaker Hickman wrote an opinion piece for the Daily Oklahoman blasting district administrators for not doing more themselves to pay teachers a higher salary; I also suspect School Boards felt targeted. I wonder if Hickman cooperated with any Oklahoma administrators on the ideas for this OpEd? I doubt it. WAR ON TEACHERS continues. Just this week, the Republican leadership offered up a plan to allow retired teachers $18,000 per year to come back to the classroom and teach. On the surface, this sounds admirable, but honestly, how many retired teachers would be willing to work for that pay under the same educational environment that drove many to retire in the first place? Does this address the current issues our teachers face—pay and climate? Sounds like a Band-Aid solution to a war-time wound. WAR ON TEACHERS continues. First and foremost, do your part to fix the educational climate in Oklahoma. 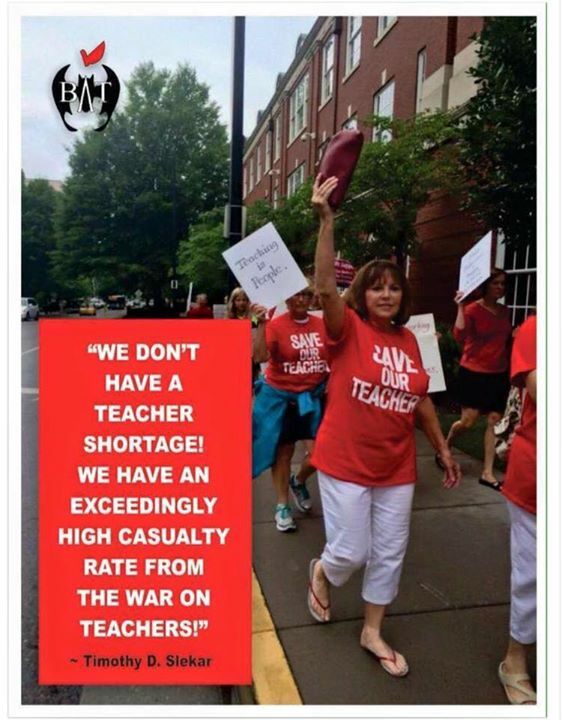 Stop the blame game and be real about solutions to our teacher shortage. Ask the educational leaders in our state (who are really informed about the issues they see firsthand) for input and take it seriously. Stop the High Stakes Testing (found in the RSA, the ACE, the TLE, the A-F). This would also save some money on administrative overhead and ink for signing RSA documents. Seriously rework the TLE. It is well known that value added measures are junk science yet our state leaders insist they can work. This could also save money by reducing administrative overhead. Stop the A-F charade. OU and OSU put together a pretty good summary of the charade. And this also could reduce administrative overhead. Publicly support teachers, but more importantly seek out educational leaders so your public support can be turned into fully-informed legislative action. Develop a workable plan to increase teacher pay. Money matters. Our state invests public money to support the STEM industry and others. Let’s get real about how to invest in the profession that can support all industry. Either UNMANDATE or FULLY FUND. There are many unfunded mandates placed on schools and this solution could both create a better climate in schools AND free up money that could be used on teacher salaries. One good example would be to eliminate the ACE graduation requirement. In closing, I honestly hope our legislative leadership can do something soon to refresh the souls of educators in our state. I hope parents will a) get pissed off with me and b) constructively express their frustration to leadership in our state. Their current attempts are a far cry from the real, workable solutions needed to address the root causes of our teacher shortage. With the upcoming session being near an election cycle, I think more ears will be open to listening. Dan Vincent is a former public school teacher, turned university professor who has two kids in elementary school. Although he was not teaching in the K-12 schools when many of these educational reforms were passed into law, he and his wife are frequent volunteers in schools and have seen firsthand the impact of these reforms on classrooms, teachers and kids. This morning, while I was out on a run, my phone was buzzing with friends responding to an editorial written by House Speaker Hickman and published in the Oklahoman today. The piece purports to address the Oklahoma teacher shortage with facts. I seem to have missed some of them, and I’ve read through it three times now. Recent claims that Oklahoma schools can’t fill 1,000 teaching positions have education proponents again demanding the Legislature provide more taxpayer dollars to increase teacher salaries. Education organizations argue that schools are unable to find quality applicants because Oklahoma’s best teachers move to neighboring states to earn more money. Yet Oklahoma’s starting minimum wage for first-year teachers is higher than Texas, Missouri, Arkansas and New Mexico. The first thing I notice is the word claims. We aren’t claiming anything. We’re reporting the conditions that impact our ability to provide the best possible education to all of Oklahoma’s public school children. We really don’t have the applicants. Next is his use of the phrase taxpayer dollars, which is really all we have access to in schools. During Hickman’s time in the Legislature, state aid for schools has decreased. Later in his editorial, he claims that school funding is at an all-time high. I’d love to know his methodology for that claim. It’s good to note here, even though it’s not germane to the teacher shortage per se, that the Legislature last spring cobbled together a budget with one-time funds from the cushions of the couch in order to fill a $600 million dollar budget shortfall. Well, it’s happening again. We’ve all been warned – not just education. A recent report from the U.S. Department of Education shows it may be because local school boards have committed a growing percentage of their funding to salaries and benefits for administrative and nonteaching staff. Between 1992 and 2013, enrollment in Oklahoma schools increased by 14 percent while the number of teachers increased by 11 percent. Administrative and nonteaching staff increased by more than 33 percent. If nonteaching staff had increased at only the same rate as enrollment, Oklahoma schools would have nearly $300 million more available annually to pay teachers higher salaries. A radical reconstruction of the educational system has the potential of staving off social conflict while at the same time strengthening the growth in living standards made possible by the new technology and the increasingly global market. In my view, such a radical reconstruction can be achieved only by privatizing a major segment of the educational system–i.e., by enabling a private, for-profit industry to develop that will provide a wide variety of learning opportunities and offer effective competition to public schools. Such a reconstruction cannot come about overnight. It inevitably must be gradual. If the widening of the wage differential is allowed to proceed unchecked, it threatens to create within our own country a social problem of major proportions. We shall not be willing to see a group of our population move into Third World conditions at the same time that another group of our population becomes increasingly well off. Such stratification is a recipe for social disaster. The pressure to avoid it by protectionist and other similar measures will be irresistible. Surprisingly, the aforementioned think tank never addresses income inequality, except to dismiss it. Wow, I’ve really digressed from the main point. That’s what happens when I don’t have much free time to blog. Sorry, back to Speaker Hickman, who deserves my undivided attention at this point. He was talking about the growth of non-teaching positions. Others have previously pointed out, as I will here, that much of that growth is to help meet ever-increasing state and federal mandates. Allow me to illustrate. 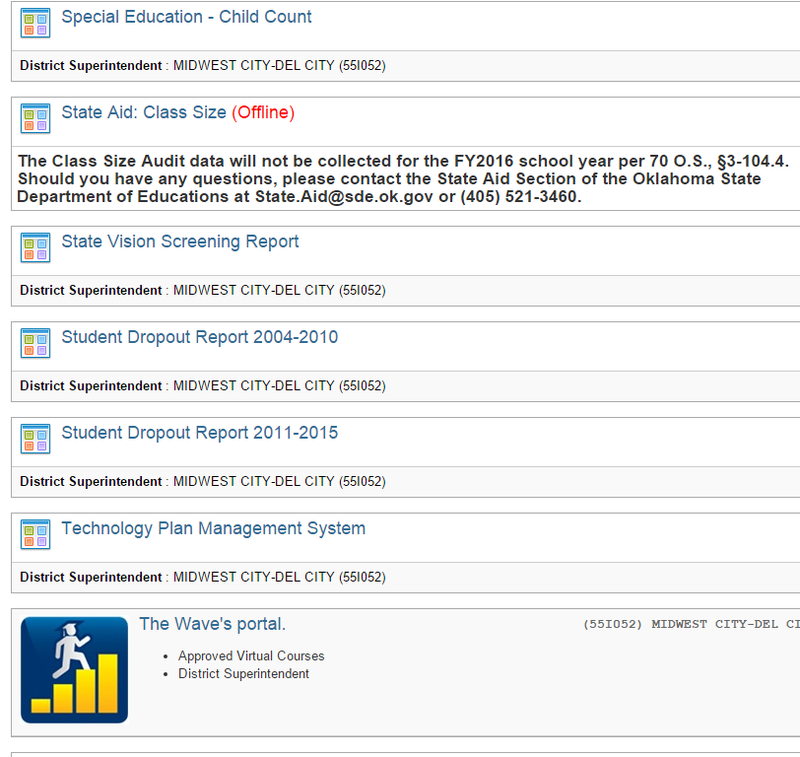 Each school district communicates and reports information through the Single Sign On (SSO) system with the Oklahoma State Department of Education. Different users have different access levels in the system. As a superintendent, I can see them all. The next seven screenshots show them. Indulge me, as I show you why we’ve added staff. 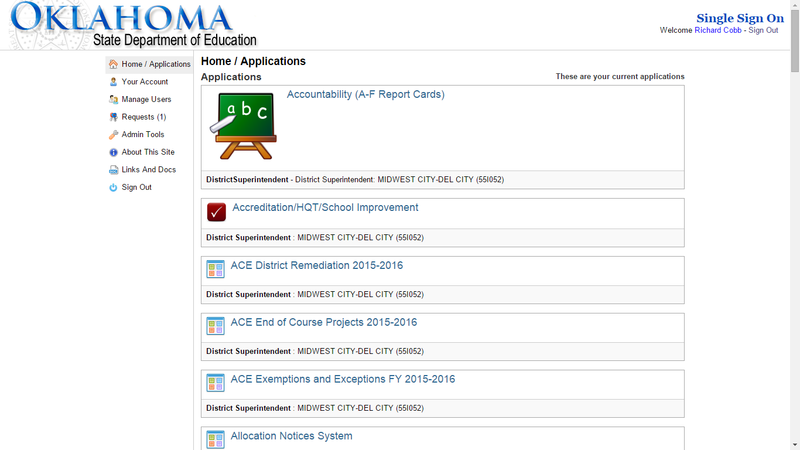 The top of the alphabet has so much of the good stuff: A-F Report Cards; Accreditation (featuring Highly-qualified teacher verification); three separate areas for the Achieving Classroom Excellence morass; and a place to check allocation notices. As stipulated by Oklahoma law, 70 O.S. § 1210.508, “each school district shall administer to each student in the district in Grades 3-8 an assessment designed to assess the student in the fine arts of visual art and general music.” This method of assessing the arts in Oklahoma public schools has given school districts greater control and flexibility in integrating and assessing the arts in the classroom. 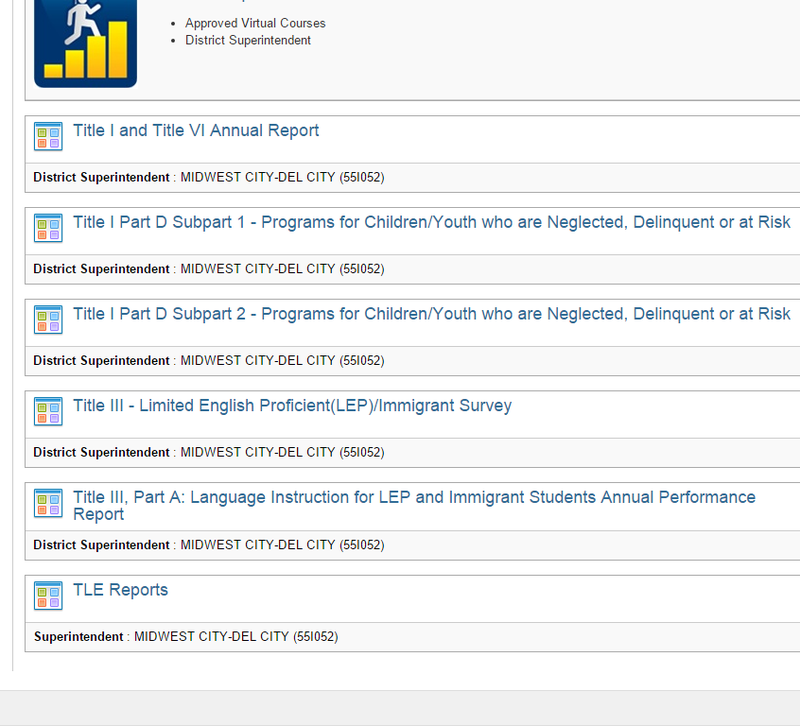 The new online assessment report is similar to the .PDF documents you are used to completing. For each grade that your district serves, data must be entered for at least one Visual Arts standard and one Music standard. Please save each page before going to the next screen or the data will be deleted. Once the report has been submitted, the superintendent will need to certify the report. This is how some school employees spend their time. One sentence of the instructions is so important, they’ve added emphasis. Twice. Why are we assessing the arts? If it’s to ensure that students get to experience it, then the moment has passed. I don’t want to audit the amount of time that we spend on the arts in grades 3-8 – in my district or any other. Too often, schools have cut this time (or taken it for remediation) because of the other mandates. In my mind, the logic goes like this: We’ve sucked the soul out of education with all of this testing. Let’s make sure the arts aren’t lost. Let’s test them too! I’ve never ascribed to the if you value it, measure it mentality. You can’t measure love or passion. At one high school’s open house last month, I heard a parent express excitement over her daughter’s love of music. That matters. I value that. I can’t measure it. I won’t try. Page three is where any of us who have ever managed Federal Programs budgets and plans for a district formed those red spots on our foreheads. They came from hitting our heads on our desks repeatedly while operating in the Grants Management System application. I’m tempted to get more screenshots inside the tab, but trust me – there are just some things that can’t be unseen. Page four is another place district employees have to spend a considerable amount of time. I personally spent two hours last week signing RSA forms. Some were for retentions. Some were for promotion. If I, as a superintendent, spent two hours just signing and dating papers, how much time was spent by the school and district staff preparing documentation, remediating and retesting students, contacting parents, and meeting as committees? 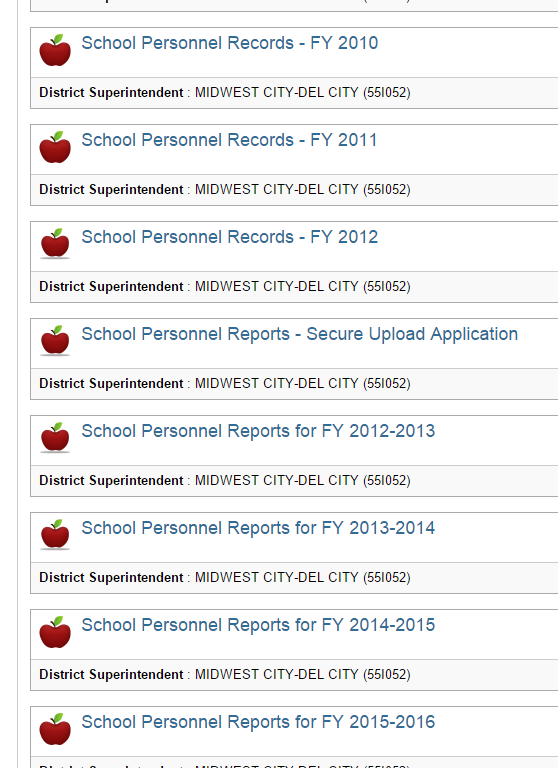 Page five is just old tabs of school personnel records going back several years. There are a lot of records in there. When you have more than 14,000 students, you have a lot of employees. I know I’ve only been in my new role about six weeks, but I haven’t found one we don’t need yet. The highlight of page six is the Wave. I even like the logo, although a surfer on an actual wave might have been better. This is where all the student data lives. We were having issues sending the STN’s back to local SIS systems earlier in the week, and have corrected the issue. If you are missing STN’s in your system and you have zero students on the STN Wizard please send in a help desk ticket toHelpDesk@omes.ok.gov and we will have them re-published back to your local SIS. If on the Data Validation Wizard you are seeing the warning “Lunch Eligibility Determination” was not provided, check the spelling of the word “Determination” in PowerSchool for the SIF agent. If it is missing the letter “a” that is the issue that needs to be corrected. If you have corrected the spelling and still have the same error, be sure to restart your SIF Agent so the change in the spelling can be applied to the agent. 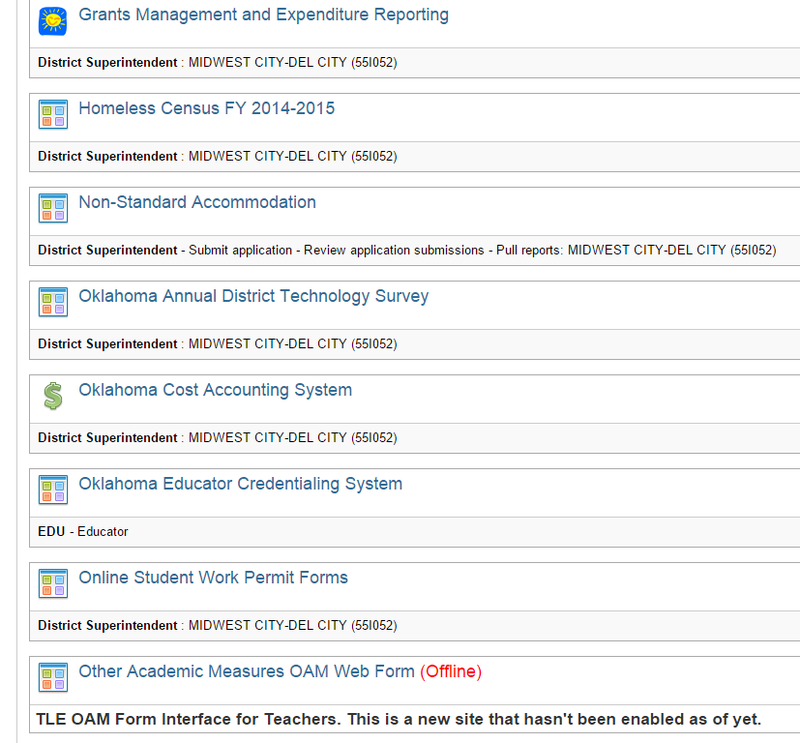 On the last screen, we have a few more reports for Federal Programs and the TLE Reports. 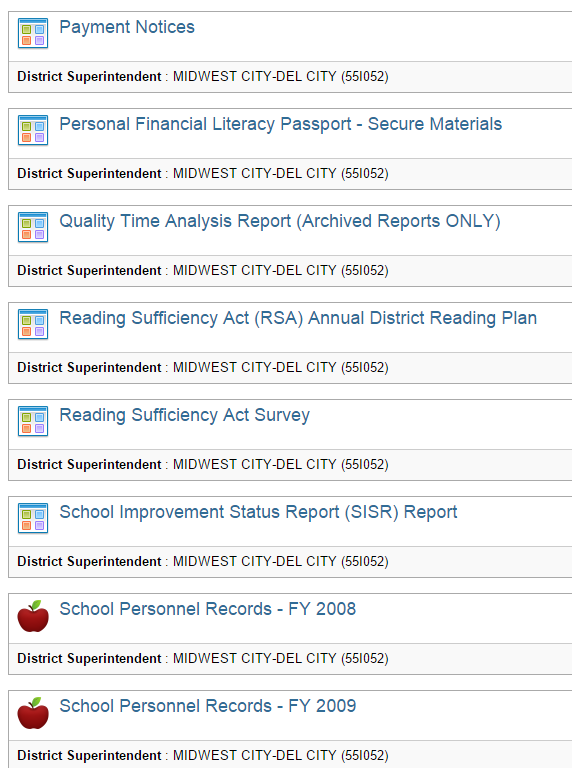 Inside of this well of data, I can view the value-added reports for teachers and administrators. Well, I could, but they’re not in there. Or maybe they’re just not loading for me. These things happen. I’m just fortunate I have great people around me who take care of all of these very detailed reports. They may not be classroom teachers, but their positions are important too. Roughly half of states have no statutorily mandated minimum salary for teachers, and it is interesting how they compare to Oklahoma. On our borders, neither Kansas nor Colorado has a mandated salary, yet they pay teachers an average salary of $48,000 and $51,000, respectively, compared with the average salary of $44,000 in Oklahoma. This is basic economics: Mandated minimum salaries restrict wage growth potential. In states where no minimum salary is mandated, schools pay what they feel the market warrants to attract and retain quality teachers. It should also be noted that, unlike Kansas and Colorado, Oklahoma provides health insurance for our education employees. 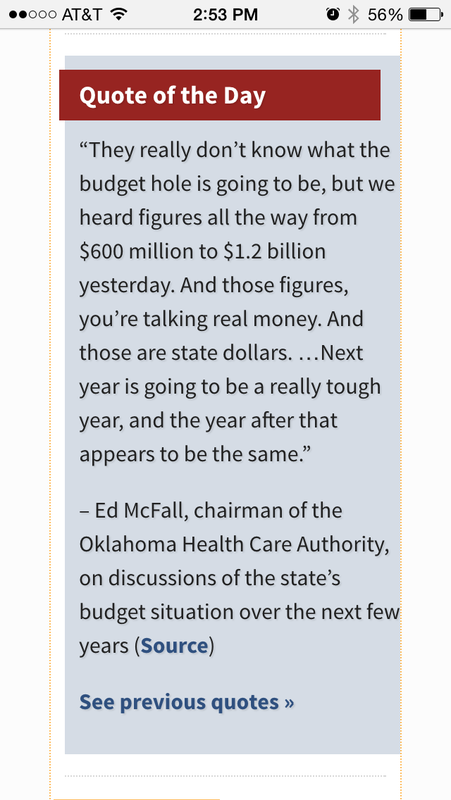 First – and this always comes up – anyone claiming the average teacher salary in Oklahoma is $44,000 should note that this figure includes insurance and retirement. That means the teachers in Colorado have a larger total compensation package, even though they have to find their own health insurance. For 2015, the health benefit for teachers is $499.42/month – roughly $6,000 per year. Teachers struggling to feed their families – and there are many – get rightly frustrated hearing the larger amount when they know their taxable income is far lower. Eliminate the minimum salary? I don’t think so. It’s a safety net. I’m still in the same place I’ve been since I began blogging when it comes to the treatment of teachers. It’s going to take serious money to recruit more people into (or back into) the profession. We need higher starting salaries, bigger annual increases, and more of a bump for earning advanced degrees. We need fewer mandates. We need elected leaders who don’t think that testing is how you tell the value of teachers or kids. We need respect for the teachers we have, however they got here. The shortage is real. These 506 emergency certifications granted at the August SBE meeting aren’t a figment of anyone’s imagination. I should know. I signed the request for several of them.